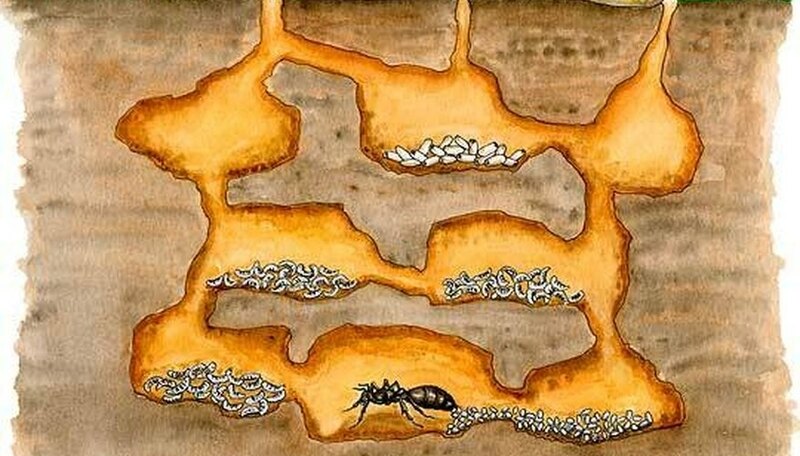 An ant colony is a home for ants that is usually underground and made up of several chambers connected by tunnels. They are built by the ants themselves; more specifically, the worker ants, who dig the tunnels and rooms, and then, carrying the tiny bits of dirt in their mandibles, they deposit the dirt on the surface, sometimes forming an anthill in the process. The way an ant colony operates revolves around the function of the chambers, or rooms. Each room has a purpose: there are nurseries, rooms for storing food and even rooms specifically for mating. An ant colony begins when a queen mates with one or several males. She then creates a nest and raises her first brood, which consists of worker ants. Worker ants are wingless females. Only the queen has wings, which she uses to fly to find a mate. Once she mates, the wings are useless and she uses the tissue to feed her first brood. As soon as they are old enough, the new worker ants start working. They enlarge the queen's nest, care for her next brood and bring her food. The queen's only job now is to lay more eggs. Once she lays the eggs, the workers carry them to the nursery area, where they care for the eggs and feed the larvae after they hatch. As more workers are born, they split off into castes: some, the biggest, work all day and all night enlarging the colony. Others bring food to the queen and take care of the larvae. 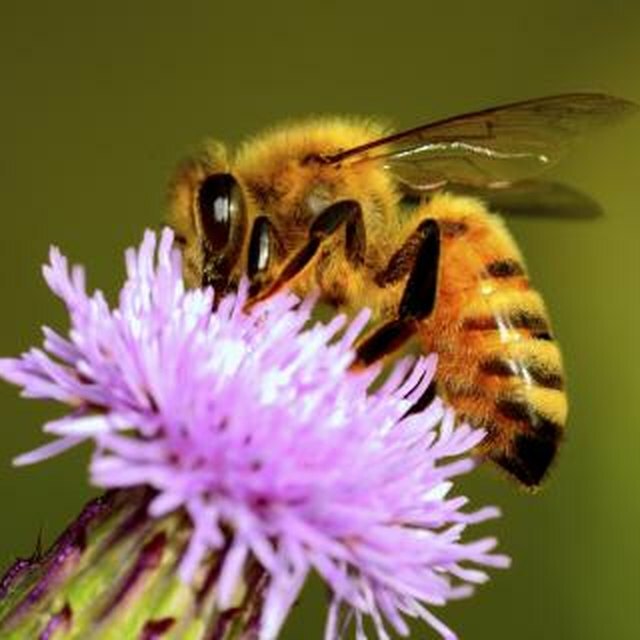 Eventually, the colony will become large enough that the queen will produce queens and males to mate with them. These new queens will be cared for carefully by the workers until they fly away to establish their own colonies or take over for the current colony's queen. This is called the Reproductive Stage of an ant colony. Sizes of colonies vary widely depending on species. Some are huge and interconnected, as the super colony found along the east coast of Hokkaidō, Japan. This super colony is thought to contain over 300 million ants. Other ant colonies only contain a few ants; less than fifty. Sanders, April. "How Does an Ant Colony Operate?" Sciencing, https://sciencing.com/ant-colony-operate-4728516.html. 24 April 2017.